Working alongside the owners, Susan and Mike Powers, Tom Morin brings his 44 years of auto sales experience to Clinton! Tom sold Mike Powers his first vehicle in 1979. Who would have guessed he would be working for him 37 years later?! 44 years ago, Tommy and his partner worked as salesmen at the Toyota dealership at the then thriving Waterville College Avenue location. 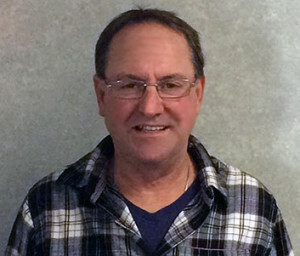 The owner retired in 1978, and at that time, Tom and his partner purchased the used car part of the business and kept it at the old location. The Toyota dealership went to Central Maine Motors on Kennedy Memorial Drive in Waterville. Mid State Motors was born in 1978. It was a thriving business on College Avenue for 37 years. In 2005, Tom sold his property to Wentworth Motors, but kept his business there for the next 10 years. In 2015, Tom decided to retire from owning a car business and take the easier route by working for someone else!! Powers Auto feels privileged to have Tommy on the sales team!